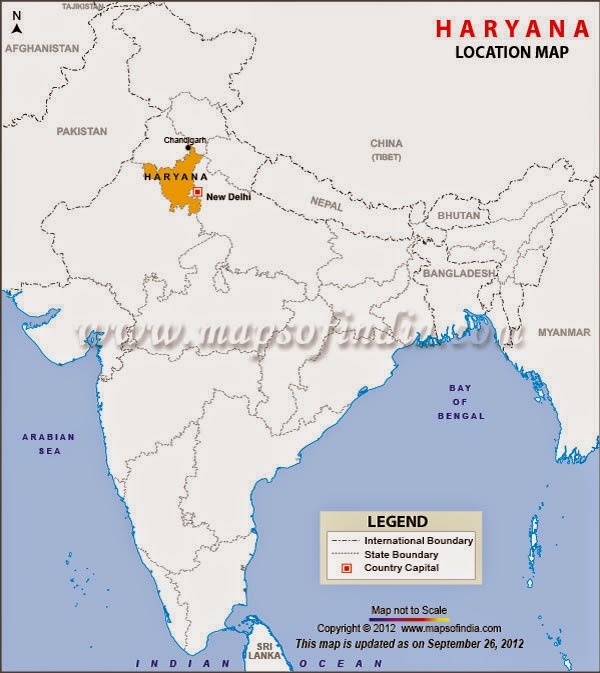 Just as Punjab is the land of 5 rivers, Haryana is derived from “Hari” and “Ayana” meaning Abode of God. And Haryanvi cuisine, atleast from the local heartland depicts just that : rustic, pure and divine. Abundant use of dairy and dairy products is seen. Paneer is an essential part of their cuisine, just like Punjab, and my friend from that state tells me that pure food (veg or non veg) is simple and earthy like Kadhi Pakora, Bathua Raita, Singri ki Sabji, Lassi etc. Lassi is an integral part of Haryanvi cuisine – Almost every meal ends with a large glass of Lassi (or thick yoghurt whipped and flavoured with either salt or sugar). 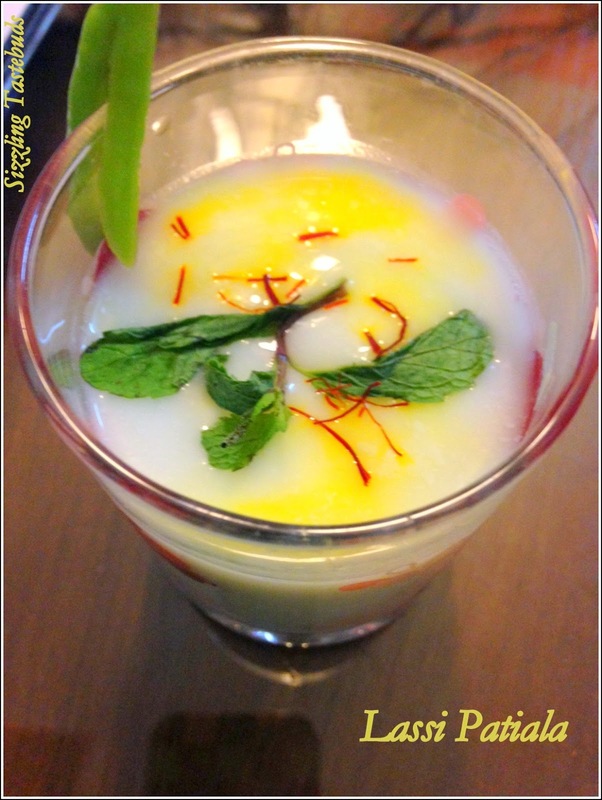 Lassi Patiala is today’s BM post, and is an unusual combo of yoghurt and saffron and milk. Elaichi powder is also added to this. Beat yoghurt free of lumps. Add all the ingredients except saffron and mint to a blender and whisk to a frothy mixture. Garnish with mint, saffron strands and serve chilled. that is so rich and so soothing... would love to drink it all up!! Lassi, this drink is one of my favourite among the summer drinks, looks fabulous. Very refreshing and perfect for summer. Lassi looks so refreshing and perfect for hot summer..
Another lassi patiala! Perfect refreshing drink for the upcoming summer. Now on a hot day, this is just the thing..divine!! It is a simple quick and easy lassi. Looks refreshing. I love those images. Call me crazy but somehow the stuff looks rather like ice than the yogurt and that's why I love those images.